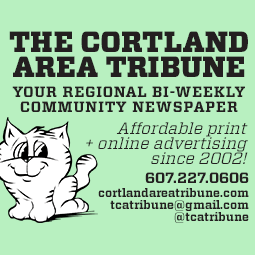 Warm air will move back into the Finger Lakes starting today along with some rain showers. After a week of winter, warmer air is making a comeback.Though temperatures are starting off quite cool again this morning, upper 30s and 40s are just to our west and southwest. Along this push of warmer air is some rain. This should move in later this morning and linger through the afternoon and overnight hours. A few of the normally colder spots may not get above freezing before the onset of the rain, so some brief freezing rain is possible. Rain will move in from west to east late this morning and early afternoon. Rain will be showery in nature, so it will not always be raining, but will start and stop off and on. 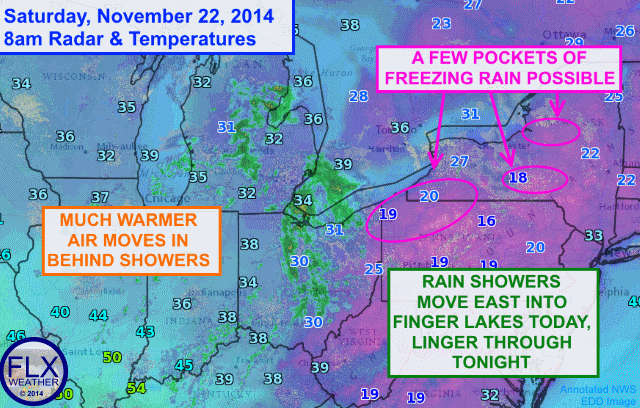 A little freezing rain is possible in some of the colder locations as the rain starts. Precipitation amounts will be light. Highs will be near 40º with 50º and 60s on Monday! 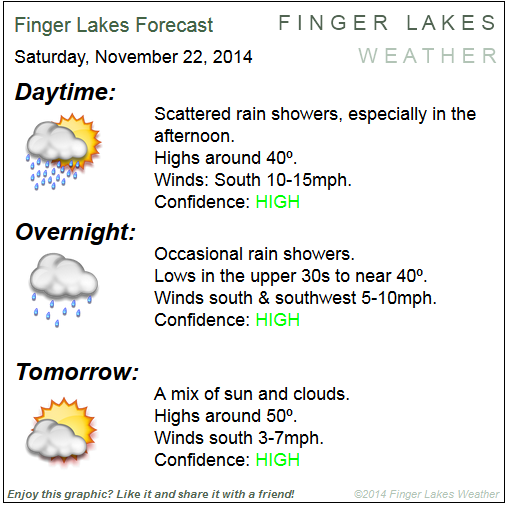 Finger Lakes Forecast for Nov. 22/23, 2014.